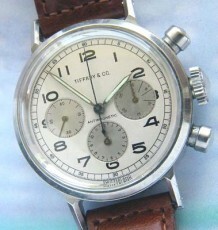 Beautiful vintage Chronograph with and exotic dial similar to the Tudor Monte Carlo or Rolex Daytona Paul Newman watches. This fully signed Swiss watch comes on a heavy steel bracelet that is also signed Mondia. The blue dial features 3 elliptical shaped registers. 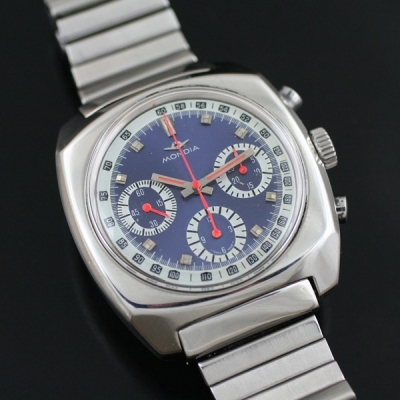 This vintage Mondia Chronograph was one of those watches that I saw in a jewellers showcase and had to buy. Look at the stunning exotic multi-coloured dial! One interesting feature of the blue and white dial is that the registers are elliptical in shape and the use of orange hands adds an extra splash of colour. 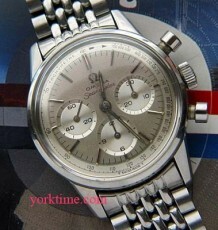 The brand Mondia is actually based in Italy and is still producing watches which are more well known in Europe. The stainless steel case is in great condition and I just love the almost square case shape with the original steel signed bracelet. 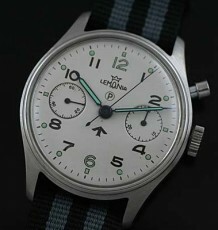 The watch uses a heavy stainless steel screw down case back, which is also fully signed Mondia. The watch appears to date to the 1970 based on the case shape and the use of the venerable Valjoux 7736 movement, the same movement used in the last series of vintage Breitling Navitimers. Another period curiosity is teh exotic multi-coloured dial, think o fteh otehr manufactuters producing exotic designs at this time such as Rolex with the Paul Newman Daytona or the Tudor Monte Carlo. 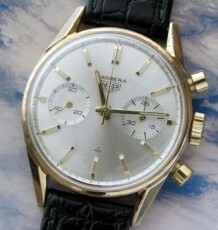 This watch was just serviced and is operating as it should as well as keeping excellent time. The case measures 41 mm wide by 43 mm long, making it slightly larger than a Rolex Submariner.